Freshmen are the scapegoats in most situations. They are perceived as the newcomers who are not really into the same activities as the upperclassmen. This year the freshmen are having a big impact on The Morgan School as a whole. “We’re blossoming in a new school environment and we’re doing our best to exceed expectations,” explained Freshmen President Michael Menacho who gave his opinion on how the freshmen class is doing so far this year. Academics have always been a strong point for the 2019 Freshmen class, but this year, 31 students made high honors for first quarter, and 43 students made regular honor roll. Although upperclassmen might have differing opinions on the freshmen class as a whole, there are a great number of upperclassmen who approve of the freshmen. 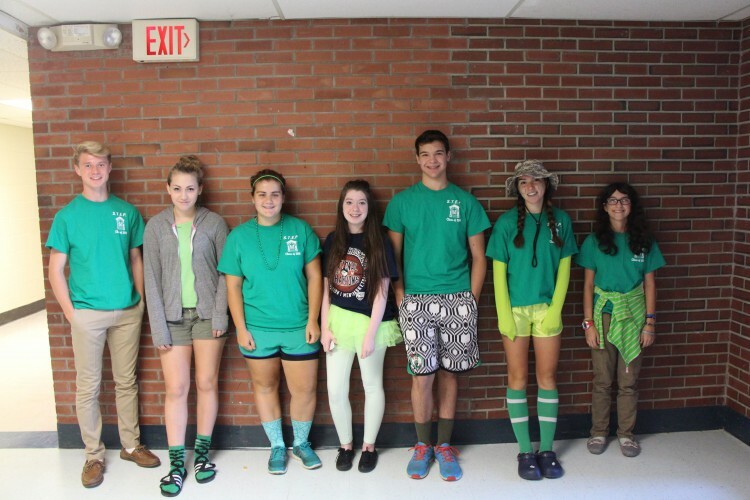 “They’re doing well;they’re smart and seem to have no issues,” said Senior Maina Carey. When asked how the 2019 Class was doing as a group, academics was brought up quite a bit. Sports was also a common topic. “ Welcoming, smart, athletic, observant, and energetic,” are a few words Freshmen Advisor Sue Cockley used to describe the Freshmen Class. There are a lot of Freshmen Varsity athletes for the fall season and winter season so far. On boys varsity soccer, there were three starting freshmen in the normal lineup throughout the entire the regular season and postseason. These players included Freshmen Jack O’Sullivan, Matt Koziy, and Calvin Jackson. As mentioned in the Morgan Boy’s Soccer Article, the soccer team was ranked 1st in the state for Class S for the majority of the season. The players reached the tournament finals in their Shoreline Conference and also delved deep into the state tournament for Class S.
Aside from athletics, the class of 2019 participates in many other extracurricular activities. They make up the majority of both the mock trial and high school bowl teams. These teams are geared towards intelligent individuals and perfectly fit the description of students who desire to take leadership roles in their school community. “Time will only benefit them,” says Physical Education teacher Peter Gersz, and he’s right. The adjustment to Morgan is going well, and freshmen will continue to excel for the remainder of the year and for years to come.